I still can’t believe it. 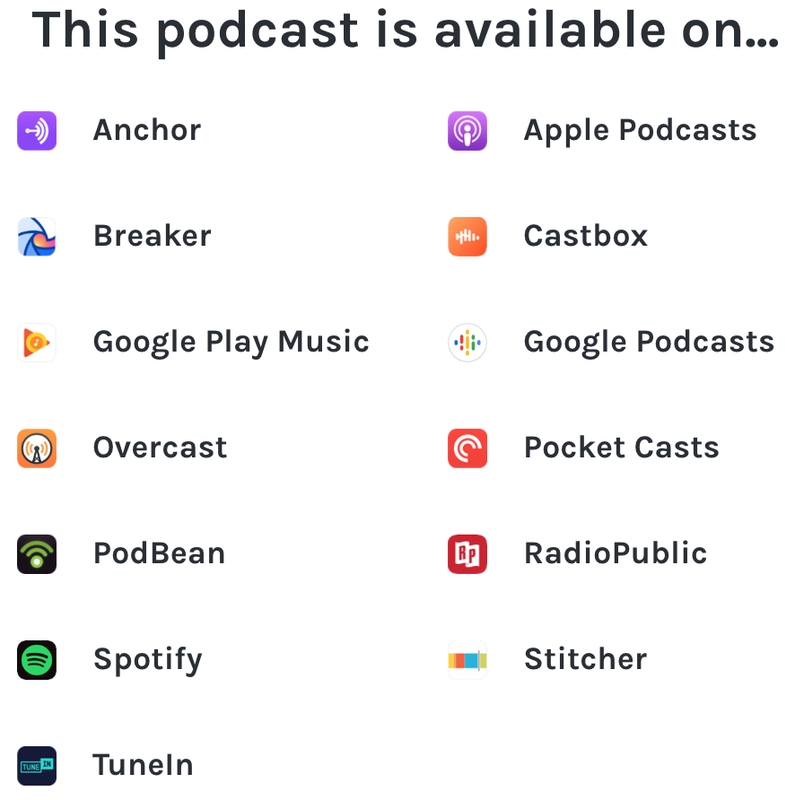 To be fair, I suppose there’s only so many ways you can google podcasts about autonomous cars, the most typical being “autonomous cars podcasts” or “autonomous vehicles podcasts.” But still! That, and there just aren’t that many podcasts exclusively about autonomous cars; in fact, mine genuinely seems to be the only weekly podcast in the world dedicated entirely to autonomous cars. Not only that, but I’ve managed to crank out two episodes per week; and so by that metric, at least, it is certainly unique indeed. Hence my podcast’s proud spot at the top of the Google totem pole, above the likes of NPR and Andreesen Horowitz. And even then, NPR’s link is simply to a tag of autonomous car-related topics, while a16z’s is but a single episode. Which is weird: I mean, it’s not like the dearth of autonomous vehicle-related podcasts is due to any lack of material. How else do you think I’ve managed to keep cranking out two episodes per week? No. The paucity of AV-related podcasts is simply a matter of time: things are just getting started, and nobody thought to do this yet; I was lucky to get in on it early. Regardless, this surge to the top was all entirely unexpected. I’d been writing about autonomous cars for years. On Quora. On Medium. On LinkedIn. And frankly, I just thought it would be fun to try and do a podcast, because why not? I’d been told all my life I had a really good “radio voice.” (Whatever that meant.) And I knew I had a contagious enthusiasm for things I cared about; an enthusiasm which, combined with my (apparent) talent for explaining complex things in simple terms, suggested I should at least not be awful at podcasting. So after vacillating on whether to commit myself to such an endeavor, I finally gave in to my wife’s encouragement that I give it a go; as with all things, she was supportive of this random idea of mine too, so who was I to say no to her? There was just one small problem. I had no idea how to make a podcast. And every time I researched how to do it, it seemed insurmountably difficult. Or expensive. Or both. But podcasting? Podcasting? That curious thing still eluded me. Then, in early 2018, I read about this app called Anchor. I think Anchor is the buggiest, most frustrating, and poorly designed app that I have ever used on a regular basis. Yes it is by far and away the simplest — and, as far as I know, the only way to easily produce a podcast (and for free, mind) — but best of luck learning your way around its atypical UX; it’s bizarrely nuanced UI; and maddening quirks, “features,” inconsistencies, and yes, catastrophic bugs. Also, it’s way too purple. Suffice to say, then, I think Anchor is by far and away the worst, best podcast-producing platform on the planet, full stop. Regardless, after I installed the Anchor app some time in February and started playing around with it, that’s when it hit me. Quirks, bugs, purple and all, I could do this. Though maddeningly annoying at times, it was nevertheless quite easy to use. Also, it was free. Crucially, it also took the headache not just out of producing and hosting a podcast, but distributing it, too. Today, my podcast can be found on thirteen different platforms including iTunes, Google Play Music and Google Podcasts, Spotify, and TuneIn Radio. And, as of November 2018, it’s even started to make me a few advertising dollars per month, too. I mean, I probably won’t be quitting my day job any time soon, but… yay?! The only problem was, although I certainly had no shortage of content, what with a new autonomous vehicle startup seemingly popping up somewhere in the world every other day, at least seven of which seem to spawn in China every three hours or so, I wasn’t entirely sure what format the show was going to take. Scripted? Unscripted? One long episode? Several small segments? And so on. No idea. What I did know with certainty was that I wasn’t about to just regurgitate the news; nobody needed to listen to some invisible talking head just rehashing what they could skim read in a few seconds on their phone. No, if this podcast was going to be a thing, then it needed to be something altogether different. Unfortunately, I had no idea what that different thing was going to be. After a few clearings of my throat and calling upon that supposed “radio voice” of mine, I fired up my (not so) trusty Anchor app on my iPhone and just started reading. Some forty-seven takes later, I’d finally managed to capture a successful reading from start to finish in one take; I typed in my first ever episode notes; and punched the “publish” button. And much to my surprise, on February 27, just like that, I’d published my first ever podcast episode. Rather more surprising, in fact, was that people actually gave it a listen. All two of them, anyway. Now all I had to do was manage to crank out three episodes every week. How hard could that be? Hard, apparently. Very hard. In fact, I only managed three episodes per week for the first eight weeks. That was the bad news. The good news was that I discovered pretty quickly the “thing” that would make my podcast stand out. That thing was to split each (roughly) 20-minute episode into three segments, each of which would cover a particular topic of interest. Crucially, however, and to my point above, this wouldn’t be a newscast, as it were. Remember, no regurgitating the news. Because that’s just boring. It wouldn’t be fun for me, and it wouldn’t be fun for my listeners. No, highlighting three headlines per episode would serve as merely the framework upon which I would then launch into a sort of discussion — and at times, weirdly enough, a debate — with myself, funny as that sounds. The key, however, was that I would prompt my listeners time and again to reach out via my website’s contact form, my Twitter account @AutonomousHoag — how cool is that name?! — my Facebook page, or the Anchor.fm app on which they could leave me an actual voicemail to, er, voice their disagreement, critiques, opposing viewpoints, or mercifully, their concurrence. And just like that, the format was finalized: two 20-minute(ish) episodes, three segments each, rigorously discussing and debating current trending topics in the autonomous vehicle space without merely rehashing the news. It turns out that doing these podcasts was actually kind of fun. Lots of work, sure. But (usually) pretty fun, too. Who knew? And so I kept at it. Two episodes per week, without fail, until 1000 listens per month became 2,000; I started receiving voicemails on the Anchor app; and even had the chance to chat with a few listeners on the phone. Nearly 9K monthly listens by end of November 2018. December would have eclipsed 9K but for the break. 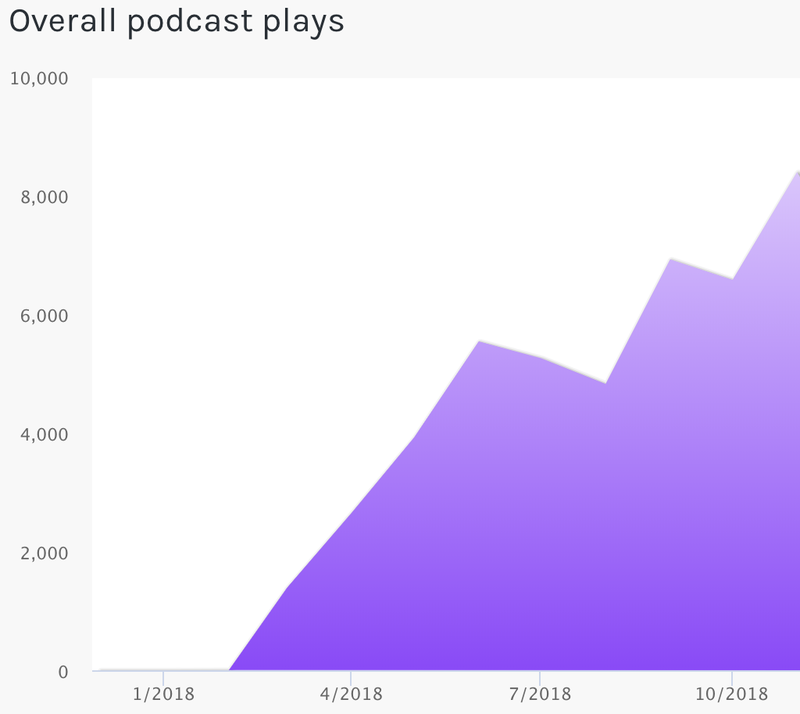 By June, my monthly listener count was nearly 6,000, and, apart from a brief summer break after wrapping Season 1, was steadily on its way to (nearly) 9,000 by the end of November. An enormous paragraph of a story from a listener named Kyle, who had apparently been listening to my podcast “whilst shuttling [his] kid back and forth to daycare,” and just felt like sharing his thoughts on such academic matters as how best to approach “edge” or “corner case” scenarios, and, oh yeah, that he wanted to introduce me to the CEO of an autonomous vehicle startup that he knows. Wow. I couldn’t believe my eyes. Surely this was a fluke? And then it happened a third time in July. And again it was an enormously lengthy paragraph of feedback: comments; questions; critiques; everything. And meanwhile, testimonials started pouring in for my podcast, testimonials that I promptly plastered all over my website; not to mention extraordinarily praiseworthy iTunes reviews (which, please leave one if you haven’t yet!). It was at this point that I realized a few things, in no particular order: (1) people were genuinely liking my podcast; (2) people have lots of very strong opinions on autonomous cars — there’s a lot to debate — hence the incredibly lengthy feedback I was receiving; and (3) people were starting to recognize me as an expert in the field. To wit, the vast majority of people I’ve had the pleasure of speaking with are PhDs in some field at least tangentially, if not directly, related to autonomous cars, or are otherwise at the top of their fields in the space. To me, at least, that’s quite an honor. At HERE Technologies’ Berkeley, CA garage offices. But nothing could have prepared me for what December had in store. First, I was invited to HERE Technologies’ (formerly Nokia Maps; Navteq; it’s complicated) garage offices in Berkeley, CA for an intimate, insiders’-only look at their groundbreaking “realtime HD maps” technology (think crowd-sourced street-level map-augmenting data including pothole-level detail). Boom! I couldn’t believe it. 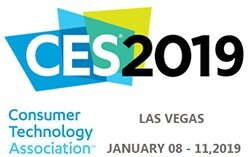 HERE Technologies had graciously invited me as their guest to attend CES in Las Vegas for a hands-on week of all things autonomous cars. My podcast had become a thing. A little thing, perhaps, but a thing all the same. And people were noticing. And if they hadn’t yet noticed, they wanted to know about it. So my wife told her about my podcast, at which point our charming new friend became rather excited, to say the least: next thing we knew she was asking to take photos; wanted to see the website; insisted on shooting me a note right then and there; basically just the most hilarious example of misplaced, utterly unwarranted, faux-celebrity worship you can possibly imagine. Fast-forward to New Years Eve a few nights ago, and a similar conversation about my podcast popped up with a charming couple seated next to my wife and me at a restaurant in Mont-Tremblant, Canada (this one: Yelp; TripAdvisor). 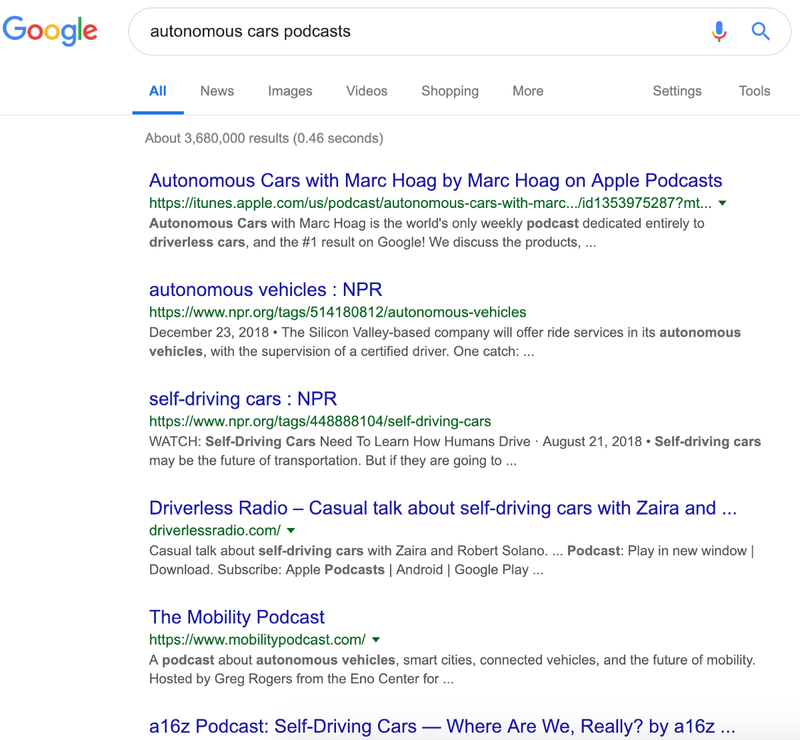 Eventually, I was asked for the name of the podcast, and in a thinly veiled attempt to hide my pride, simply replied that it was the first result on Google for “autonomous cars podcasts.” Because of course I had to say that. Enthusiastically acknowledging my reply, the couple went back to their meal; my wife and I to ours. Several minutes later, the husband leaned over to us, his iPhone glowing. “Is this it?” he asked. I couldn’t believe my eyes: there before me, on his iPhone screen, was my podcast, in all its glory. “That’s it!” I replied, utterly incapable of hiding my enthusiasm. Autonomous cars, the greatest step change in humanity since the industrial revolution. Happy 2019. Let’s make it awesome. So what’s the point of all this? Why am I writing this; and where do I see this going? I’ll be blunt. This article is, of course, a bit of self-promotion. But not for my podcast per se; rather, it’s meant to be a bit of promotion for me. As a California-licensed attorney who founded two startups over the last eight years; as a UCLA econ major with a solid background in engineering-track math and science, I can assure you that my dream at this stage in my career is not to be a podcaster, or some sort of “social influencer” for autonomous cars. No, my goal is to leverage my experience as a lawyer-turned-2x-entrepreneur with a love for autonomous vehicles into a role spanning product management to policy and everything in between. So whether I end up helping clients as a lawyer, as a consultant, or lobbying for the best autonomous vehicle policies in DC, I know I’ve discovered my true calling. And so I intend to be a part of it. In a big way. NB. 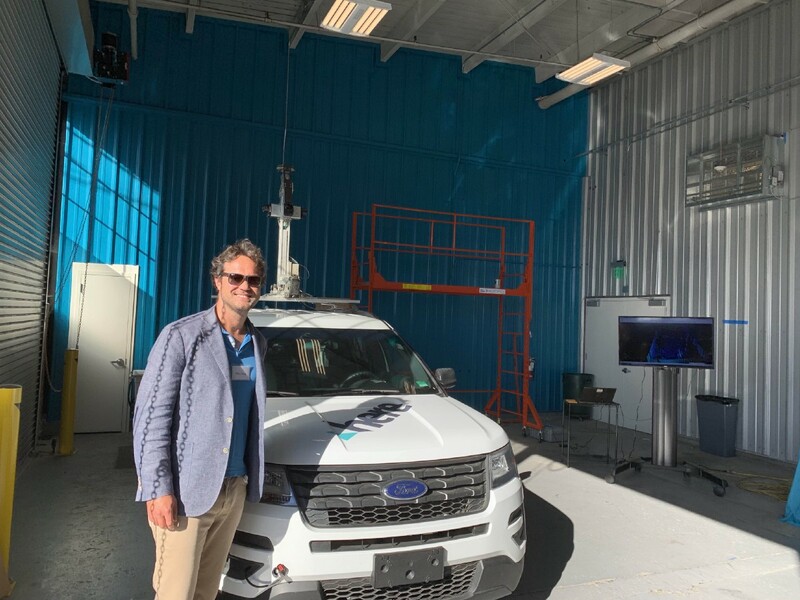 If you’re a lawyer or consultant with an interest in AVs, or if you currently work with an AV (or even a traditional automotive) company, let’s connect and talk. I have an idea….